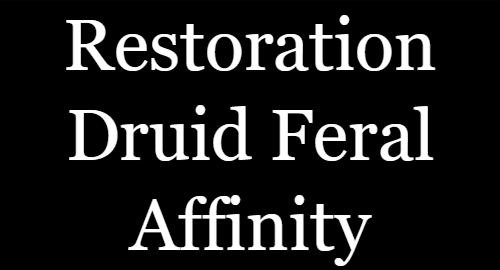 Restoration Druid BFA 8.0.1 and Beyond! -Re-exported all the macros for GSE 2.4.02. -Added Version 2 to the healing macro. I use Version 2 as my default for all things. 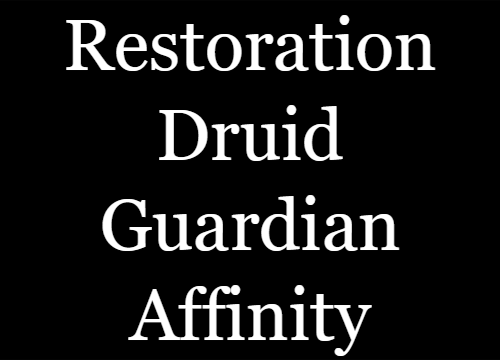 -Healing Macro, Balance Affinity Macro, Guardian Affinity Macro, and Feral “CAT” Affinity Macro now are all included. -Updated Notes on each macro. If something is confusing just ask I will do my best to clarify.If you find a mistake point it out I will try to correct it. -The Defensive Macro has been removed and has been baked into the Guardian Affinity Macro. The Healing spells in that defensive macro have been removed. I thought it was redundant as the healing macro should be used for all healing situations. Therefore the Guardian Affinity Macro can be used even when not in guardian affinity. For example, if you are NOT talented to Guardian Affinity the macro will turn you into a bear, cast Mangle on Cooldown, you can cast Moonfire with the CTRL key, and cast BARKSKIN with the ALT Key. This will help you live in a tough situation. Also if you want to pretend to be cool if your tank did something dumb just have your taunt aka “Growl” ability in a hotbar within the guardian key binds. A good combo is to have HOTS on all, then change to the Guardian macro while trying to stay alive long enough for the actual tank to return. -Currently I am using the Balance Affinity Macro to do some side DPS, it is giving me the most damage for the least investment. The extra range on all other abilities is also nice. -If Cenarion Ward is Talented the macro will cast it. If it is not the macro will still work as intended. Raid Talents: 3?1?3?23 (Note I keep Flourish on its own key away from this macro). This is a survivability macro. The only intention of this macro is to be casted during a crucial moment in battle where you might die. This macro will attempt to keep you alive long enough for you to survive, run away, or have a teammate heal you. Hey thanks for letting me know. I’ll fix the 2nd macro and repost it in about 12 hours. Defensive Macro 2.0. BFA Patch 8.0.1. July 25, 2018. 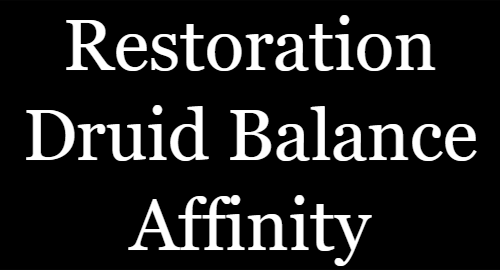 My defensive macro is good to use for Restoration and Balance. Have not yet tested Feral. It also casts Moonfire and Sunfire the rotation. Hello the macro could not execute it. I joined the focus group and everything else did not work. Could you please help me? That’s odd. What version of gse are you running? the mouse cursor over who wants to heal that works.